Ila Kay Smith, 930 South McCrary St., Woodbury, was charged with Domestic Assault on Aug. 10 by Woodbury Police Chief Kevin Mooneyham. Smith allegedly got into a verbal altercation with her 14-year-old son over $5. When her 17-year-old son awoke to the argument he attempted to get them to stop. Another verbal altercation ensued between the mother and the 17-year-old. Smith allegedly grabbed him by the throat and choked him, causing visible injuries. He then kicked her on the left knee to get her off of him. It was determine that the mother was the primary aggressor in the incident. Bond was set at $500. Initial court date is Sept. 18. • Vonzella Carroll Ingram, 318 Hayes St., Woodbury, was charged with Domestic Assault on Aug. 7 by Woodbury Patrolman Patrick Fann. 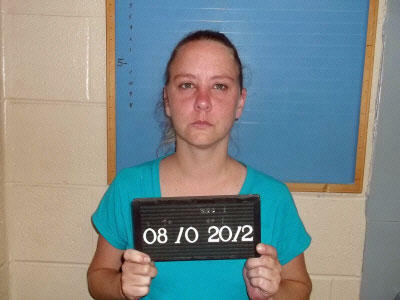 Ingram, while in an argument with her husband, allegedly took a dessert plate and threw it down a hallway. The plate broke and a piece of it struck the victim in the lower right leg. Bond was set at $600. Initial court date is Sept. 18.